Suicide is the act of taking one’s own life. 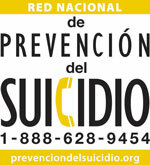 It is important to know that suicide can be prevented. 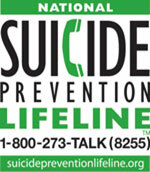 Most people show many warning signs when they are contemplating suicide. The most important thing you can do for a friend or loved one to prevent suicide is to be aware of the warning signs, take them seriously, and understand how to find help for them. If you are in crisis and need immediate help, please call the National Suicide Prevention Lifeline at 1-800-273-TALK(8255) or go to your local emergency room. Be especially concerned if a person is exhibiting any of these warning signs and has attempted suicide in the past. According to the American Foundation for Suicide Prevention, between 20-50% of people who commit suicide have had a previous attempt. What do I do to help my friend or loved one? 1. First, if someone you know appears to be depressed and is contemplating suicide, take them seriously. Listen to what they are saying. Calmly ask them what they are planning, but don't attempt to argue them out of committing suicide. Instead, let the person know that you care and understand and are listening. Avoid statements like: "You have so much to live for." 2. Then seek help. Encourage the person to seek the help of a mental health professional. Because the person probably doesn't think they can be helped, you may have to be persistent by going with him. 3. If your loved one appears to be in danger of committing suicide imminently, do not leave him or her alone; remove any weapons or drugs that may be used. Accompany him or her to the nearest emergency room. 4. During treatment, support your friend or loved one. Help them to remember to take antidepressant medications and to continue any other therapy prescribed.